The Pixie Acoustic guitar is a full-scale instrument designed especially for girls. 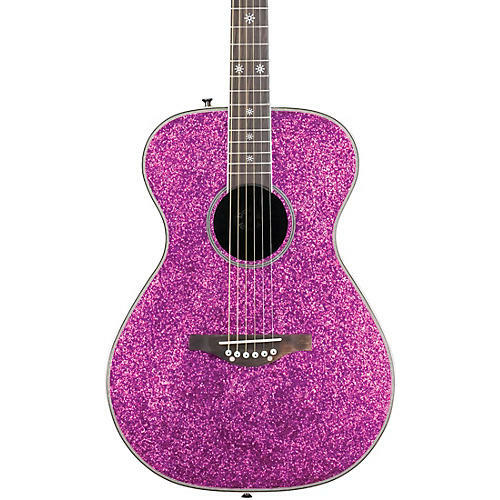 This dazzling sparkle-finished guitar is lightweight and sounds great. It features Daisy Rock’s trademark "Slim & Narrow" neck, which makes it easier for girls with smaller hands to play. Its durable composite oval back and spruce top produce a rich tone, and its slightly smaller-sized body fits girls just right, making it extremely comfortable to play. 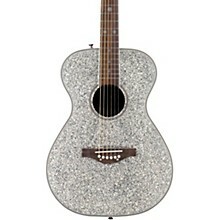 All Daisy Rock guitars include a limited lifetime warranty, arrive setup, and are ready to play. 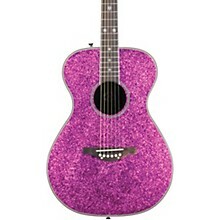 Choose Pink or Silver Sparkle finish. Arrives setup, ready to play and is backed by a limited lifetime warranty.